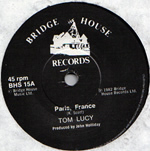 @ The Bridge House 79 is a new album that was recorded on 9th February 1979. The tapes had been thought lost but were recently uncovered from over 30 years in storage. They have been lovingly restored and show the Bridge House at its best. 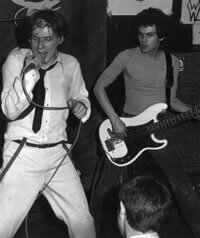 The gig was originally recorded as a follow up to live a Week at the Bridge but never made it into production. 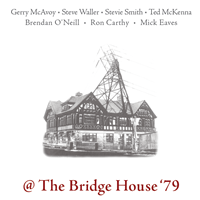 This recording is of a single nights gig at the Bridge and features a host of stars that got together especially for the recording; Gerry McAvoy, Steve Waller, Stevie Smith, Ted McKenna, Brendan O'Neill, Ron Carthy and Mick Eaves. This is a really special recording and shows a typical rockin' night at the Bridge. It is a very good quality recording that pefectly captures that special Bridge House atmosphere. Over 600 boxing fans packed into Shoreditch Town Hall on 18.09.10 to pay homage to the great fighters who competed at the East End venue on the 55th anniversary of the opening show. It was captured by the East London Advertiser. Terry was there because he topped the bill on the first ever show on 22.09.1955, it was also the very first night of ITV and Terry was also the first sportsman to appear live on commercial television in the UK. 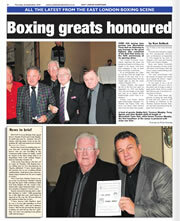 Among the boxing greats pictured with Terry are Bobby Neil, Terry Spinks, Alan Rudkin, all ex-champions. The bottom photo has Terry and Glen posing with a copy of the program from that first night. Terry met up with Micky Geggus from the Cockney Rejects along with son Darren from Wasted Youth and Lee Drury from Erazerhead at the Bridge House II to film an informal interview for a new documentary. A lunch time chat over a few drinks, reminiscing about the old days and wondering where things have gone wrong these days is nothing new in East End boozers. But this time it was old hands from the East End music scene getting together again and the chin wagging was being filmed for a new documentary almost complete about the Cockney Rejects. Talk ranged from the East End music scene, to boxing and football and the long history of the area. Ex Warm Jets and Cockney Rebel keyboard player Milton Reame-James has a new album out. 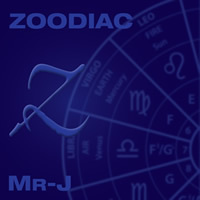 Zoodiac is a musical journey through the signs of the zodiac. It also features Nick Pynn, another ex-rebel player on various acoustic instruments and is produced by Jeff Ellis. Previews of tracks can be heard and CD and MP3s purchased from his dedicated Zoodiac website. It is also available on iTunes, Amazon and all good download sites. As well as promoting the new album, Milton is busy writing new material for his next project. A new DVD release for Bridge House Records on 14.09.09 can be pre-ordered now from the Bridge House shop. 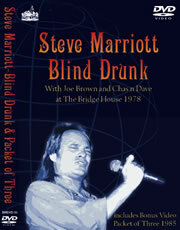 A very rare film of Steve Marriott playing at the Bridge House in 1978. With special guests Joe Brown and Chas n Dave. Although the film is very old and therefore early b/w video quality, it shows Steve having fun with his mates and really enjoying playing and drinking. The DVD comes with a bonus concert from 1985 of Packet of Three with Jim Leverton. This should be a treat for all fans of Steve Marriott. 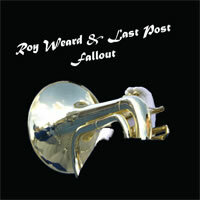 A new release for Bridge House Records on 22.03.09 is Fallout By Roy Weard and Last Post. Last Post was Roy's band after Dogwatch along with Steve Bensusan and Ronnie Raymond, long time Bridge House punters and Dogwatch fans. The album has been digitally remastered and includes 4 bonus tracks. Available now from the Bridge House shop. Dave Edward a legend of the Bridge House. Going through my collection of Tapes I was pleased to discover a live tape of Dave Edwards the Remus Down Boulevard front man. Dave played for me for the whole 7 years I was at the Bridge House, indeed the only one from all the bands to stay the whole course. The first tape features Dave as front man on guitar and vocals, Gerry McAvoy on bass, Lou Martin on piano, Ted McKenna on drums (The Rory Gallagher band) and also Graham Foster on guitar. It is a great tape, but being an old tape some definition is missing and as with all of us the tape has slightly eroded with age. This is obvious mainly on the first but rather than edit if out we have included it so the whole live gig is as it was recorded some 30 years ago. Bridge House Legends Volume 1 is available from the Bridge House shop. Terry had arranged to meet Lee Dury (Erazerhead, Corvettes) at the site of the old Bridge House, after seeing him again after 10 years at a party round son Darren's house. Lee informed us that when they were raizing the Bridge House to the ground, he was working for the gas board opposite the pub, so in he goes down to the celler, showing his identity from the gas board to the inspector who thought he was there on official business. He went over to the wall and digs two bricks out, puts them in his bag and walks out, saying thank you. He told Terry he could have one of them so he arranged to meet him at the site of the Bridge for the official handover, Jeff was there to take some pictures and meet up with an old mate. In the picture can be seen the pylon that became our logo for the record company and now they are our main source of describing where the mighty Bridge House once stood. BHCD1002 Released April 08. In the Bridge House shop now. The last of the Bridge House albums has now been remastered to CD. The master tapes of this live album have been missing for years so this took longer than most to get finished. It has been remastered from vinyl and declicked to improve the quality. To make up for this Penfriends now includes seven previously unreleased studio tracks supplied by Roy from the Dogwatch archives. Cutouts, Life on the Line, Mornington Crescent, Dangerous Game, Dicopath, Ice Cream Man and the Last Picture Show. A must for all Dogwatchers. Roy's Wooden Lion are putting in regular appearances at the BH2 venue in Canning Town. BHDVD02 Released March 08. In the Bridge House shop now. The film of the Bridge House book launch and reunion gig from the summer of 2007. The reunion gig features the first and last band to ever play the Bridge. Remus Down Boulevard, featuring Dave Edwards and Dennis Stratton plus a special guest performance by Chris Thompson who sings some of his biggest hits. 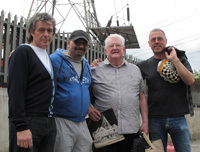 The film also incorporates rare archive footage from the last days of the Bridge House and a special feature on the release of Jab & Move, a Bridge house single written by Terry's son Glen. Cut together to give a fly on the wall view of what made the Bridge special and put E16 on the rock 'n' roll map. BHCD1005 Remastered and released Feb. 08. In the Bridge House shop now. We have been in the Studio re-mastering Gerry McAvoy's Bridge House Records Album BASSICS and believe me it sounds great. The lyrics on Gerry's songs are mostly about his time living and growing up in his home town of Belfast, Northern Ireland. Half of the album was recorded in the studio and the second half was recorded live at the Bridge. Gerry wrote eight of the songs. We have the ledgendary Steve Waller on vocals singing 'Its all over now', the hit by B/S Womack. Dave Edwards sings 'Many Rivers to Cross' and sounds better than the original hit song. He also sings on Remus Down Boulevard favourite 'Railway Station'. There will also be bonus tracks including the studio version of Streetalk, there is a live recording of this on the album. What you have on this album is great musicians from the Bridge House era. Terry has just been asked to be a co-producer for the film production company Finger of Suspicion. They are in pre-production of the film Sabini based on the life of Charles Darby Sabini, Britains Godfather of the 1930's. Glen Murphy is the producer, attached to the film is Ray Winstone. 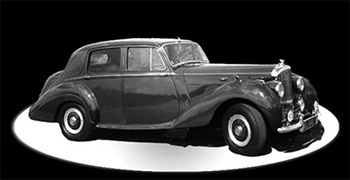 Other films in production are Finger of Suspicion a film based on the last year in the life of Freddy Mills the former light heavy weight champion of the world, plus King of the Underworld by Billy Hill and Bentley Boys the story of the birth of the Bentley Motor Car. Ex Bridge House bar manager and Terry's son Glen was named in the Queen's Birthday Honours list and awarded an MBE for services to charity. Glen became a household name with TV hits such as The Bill and London's Burning and has made a big hit with his West Ham Celebrity team raising hundreds of thousands for charity. This award follows past achievements such as being made a Freeman of the City of London a few years ago. Glen is currently working on a new film script and all going well should begin production by the end of the year. Congratulation to Glen from all the Bridge House punters and staff. 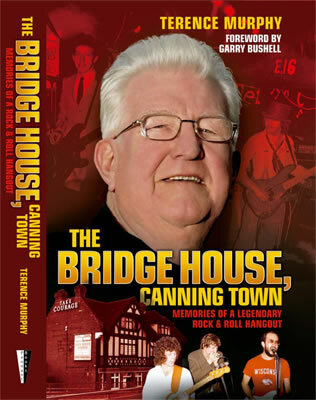 Terence Murphy has written a soon to be published book about the Bridge House and the bands that played there. 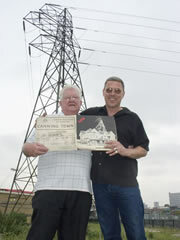 Titled “The Bridge House, Canning Town - Memories of a Legendary Rock & Roll Hangout”, exlusive signed copies will be available from this site. Also, watch this space for news of a special book launch gig. The book is to be published as a hardback in July by Pennant Publishing and will be available from this site and all good booksellers. The book dedicates chapters to all the Bridge House favourites and has many rare photos. Order a signed copy of the book from the Bridge House shop. Bridge House regular Paul Ballance who fronted some of the weirdest bands to play at the Bridge has launched a new MP3 download store on the web called MBop Megastore. Paul also featured in a recent article in the Independant newspaper on March 29th entitled "From punk to profits: MBop founder has seen both sides of music business". Paul also got a write up in a recent copy of Music Week. Paul has fronted many bands at the Bridge House such as The Warm Jets, The Electric Eels, Dogwatch, The Pope and the Sperm Wails. He was well known for his intense and weird stage persona. The Warm Jets were the first band to release a single on Bridge House Records called 'Sticky Jack'. Paul is rumoured to be working on some new versions of some of the old tracks. Terry recently met up with Paul at the central London offices of his MBop empire and there is likely to be a deal struck to get the Bridge House back catalogue converted to MP3 and appear in the MBop megastore. Bridge House regular Dennis Stratton, who played in Remus Down Boulevard and later Iron Maiden as well as Lionheart, Praying Mantis and many jams including the Old Man Going Downhill Blues Band has a series of DVD's coming out. 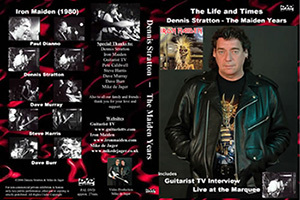 The first one released is 'The Iron Maiden years and includes footage from the Marquee Club in London. It can be purchased from www.guitaristtv.com. This is part of a series of four DVDs. 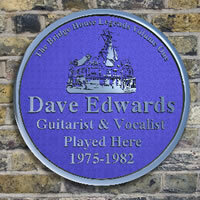 The second will cover Dennis' start at the Bridge House in Canning Town with Dave Edwards and RDB. The other two will be about his band Lionheart and also Praying Mantis. Bridge House Records are pleased to announce a distribution deal for Wasted Youth's latest Memorialize CD with Jungle Records. This new release of the CD will be available from 30th October and has a new catalog number FREUDCD089. This edition of the CD is a full commercial release and has slightly updated graphics to allow for Jungles logo and cat. numbers. The new edition will now also be sold through the web site and the original pressing is now out of stock. The original release can now be seen as a collectors edition as only a limited run was made. it features all the singles and flip sides from 1979 to 1982, plus a few bonus tracks. The 16 track CD also comes with a booklet containing notes on all the releases written by Bridge House owner Terry Murphy. Rocco Barker, ex guitarist of Wasted Youth was in town recently. 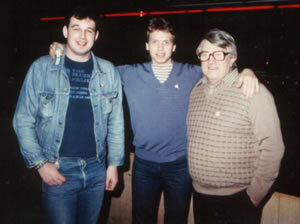 So Darren Murphy (bass player) and Terry Murphy (manager) met up with him at a pub in Rainham. Terry recalls, "It was nice to see him after all the years that have passed, so for a couple of hours it was non-stop stories and memories." Rocco now resides in Spain but for many years was a resident of LA, mixing with the stars such as Snoop Dog and John Lydon. After a few drinks, Terry presented them both with copies of the recently released DVD 'Survivors' and the singles collection 'Memorialize'. They were both over the moon and could not wait to see the DVD so Terry persuaded the publican to put it on the big screen. Needless to say, they loved it and Terry also got a few orders in from the customers in the pub. Thanks to Trish for the photo. Sharp eyed Bridge House website vistor Timothy Charge, spotted that there was one single missing from our list on the site. BHS 15 was a limited edition run of Paris France credited as being by Tom Lucy, now a famous stunt co-ordinator. Read more about this rare record in the 'singles' section of this site. Adam Sieff, the Producer of Wasted Youth's third single 'Reach Out' was recently featured on TV in a show about when Tony Blair wanted to get into rock 'n' roll. Adam, who is a grandson of Lord Marks, one half of the Marks & Spencer creators was in a band called Jaded that were promoted by Tony Blair before he got into politics. Tony was putting gigs on at the Vineyard, Inverness Square Gardens in Richmond. 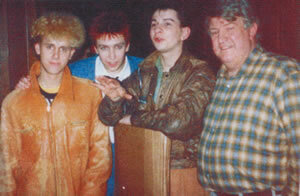 In the eighties Adam played guitar for another Bridge House favourite, the late Alexis Korner. Aside from Wasted Youth he also produced for Big Country, Splodgenessabounds and Matumbi. Adam is now Head of Jazz at Sony Music UK. 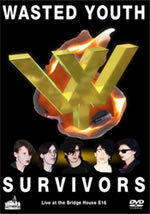 There is a brand new Wasted Youth DVD being released by Bridge House Music called Survivors. This contains rare video footage shot at the Bridge House of two gigs, one from 1981 and extracts from another recorded a year earlier in 1980. This DVD is a Bridge House exclusive and is not available from anywhere else. It is available from the Bridge House shop. The DVD has been produced as a small run so it can be regarded as a limited edition. Dave Gahan of Depeche Mode was on BBC Radio 2, in October promoting his new single Angels. He talked about how he met Daniel Miller the owner of Mute Records at the Bridge House where they were playing with Fad Gadget. Dave was proud to tell him that they had a residence at the Bridge and he came down to all their gigs. Daniel made an album with them, without a contract being signed as they had promised to record for Bridge House records. Bridge house records were unable to get them in the studio in the end, so it was not to be. A big loss for us, Depeche remained good freinds when they made it and they came and played a secret gig when the Bridge House was closing and gave the revenue to Terry Murphy, to keep the pub open for a while longer. Bridge House regular Gerry McAvoy has a new book out called 'Riding Shotgun' that chronicles his time playing bass for Rory Gallagher and Bridge House favourites Nine Below Zero. Gerry also played at the Bridge with many other well known musos in his popular jam sessions. The book mentions the Bridge House a number of times and includes photos taken there. Congratulations to Midge Ure on recently becoming an OBE. The Old Bridgehouse Entertainer used to play at the Bridge with his band The Misfits that also featured Rusty Egan on drums. Are you an ex-Bridge House performer and have your own band web site? Send us your links. Formed at the Bridge for a one off gig and still going strong. Featuring Gerry McAvoy on bass. The Bridge House 2. A new live venue round the corner from the old Bridge in Bidder St E16. Chris' official website. Biog, dicog, photos, tour news and releases. Plus MP3 downloads. The official Depeche Mode website. Tour news and releases. Lee Drury's punk band, the Bridge House answer to the Ramones. The official band site for ex-Wasted Youth guitarist Rocco Barker and his band for last 20 years. The official site about his new book 'Riding Shotgun', includes extracts and photos from the book. The book can be ordered from the site as well. Catch up with Jackie, man of mirth and music. Recent releases and blue jokes. 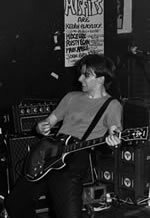 Former Warm Jets & Cockney Rebel keyboard player has his own site that is also linked to his Banana Rebel, Rainbow Ride and Zoodiac projects. A tribute site to the late great bass player with the Warm Jets, The Pope and Cockney Rebel. 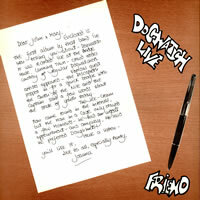 Former frontman with Dogwatch and Last Post has his own site, there are photos and MP3 music files to check out. Official fan site for Zaine Griff who has recently started gigging again. Do you have any questions, memories or photos about the Bridge House and any of it's performers ?